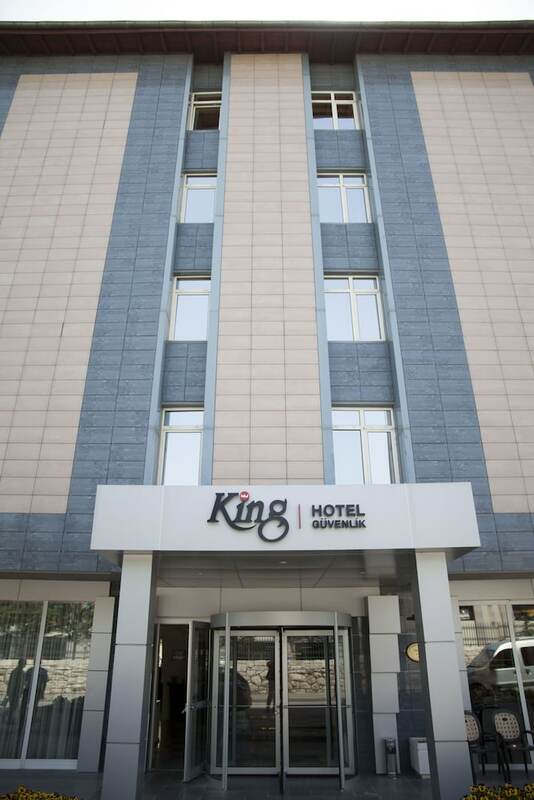 A stay at King Hotel Guvenlik places you in the heart of Ankara, within a 10-minute walk of Embassy of the United States and Embassy of Germany. This hotel is 0.6 mi (1 km) from Embassy of Italy and 0.9 mi (1.5 km) from Pembe Kurbaga Show Center. Make yourself at home in one of the 36 air-conditioned rooms featuring LCD televisions. Complimentary wireless Internet access keeps you connected, and satellite programming is available for your entertainment. Private bathrooms with bathtubs feature complimentary toiletries and hair dryers. Conveniences include desks and separate sitting areas, and housekeeping is provided daily. Satisfy your appetite for lunch or dinner at the hotel's restaurant, or stay in and take advantage of the 24-hour room service. Wrap up your day with a drink at the bar/lounge. A complimentary buffet breakfast is served daily from 7 AM to 10:30 AM.